0-3 at halftime. 1-5 final. Overcast, breezy, and chilly, with some rain in the second half. 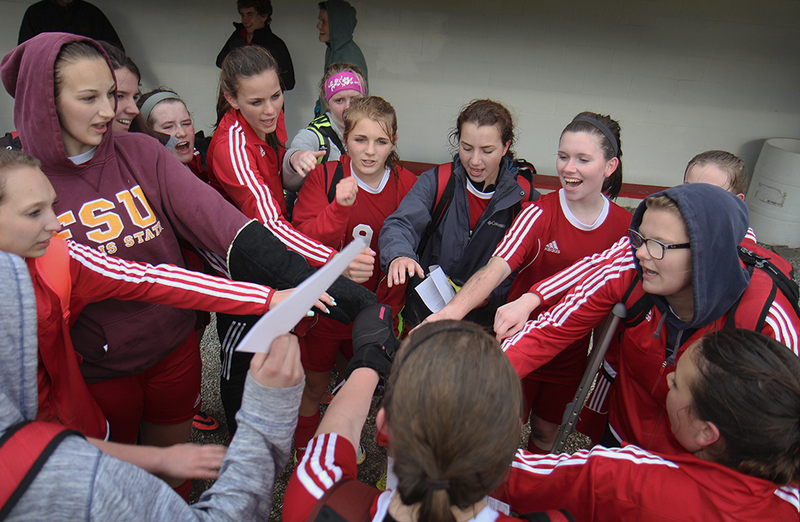 This was the fifth game of the 2016 season and the fourth away game for the Benzie Central Girls Varsity Soccer team. It was semi-sunny and 45-ish, so pretty cold but not freezing; there was quite a bit of wind, which is typically true of Suttons Bay, right near the big lake. 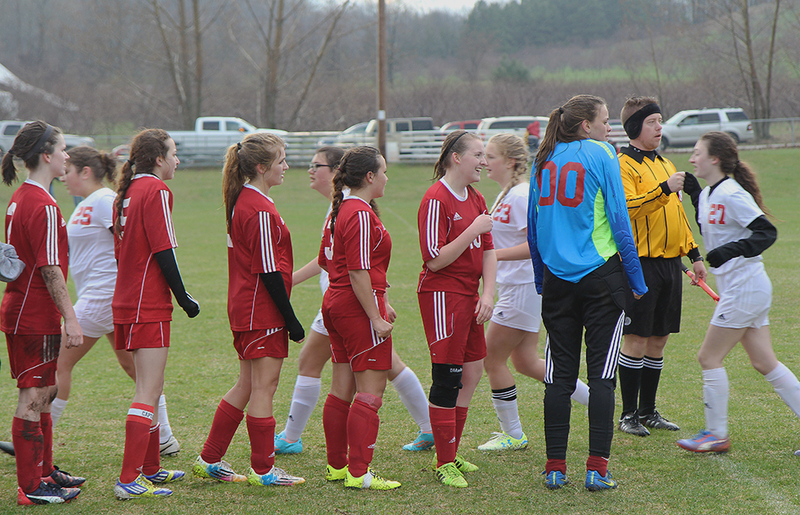 Our girls were slow to start, which Suttons Bay took advantage of, putting three goals in the net before halftime. 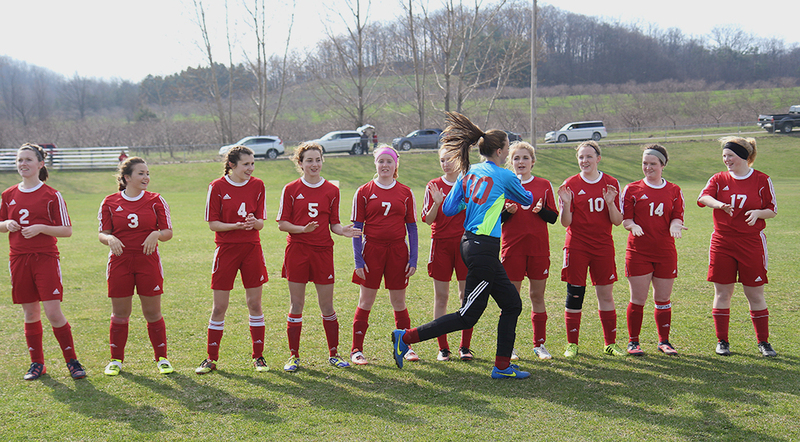 Suttons Bay took a total of 12 shots in the first half against goalkeeper Maile Church, three of which they scored on. 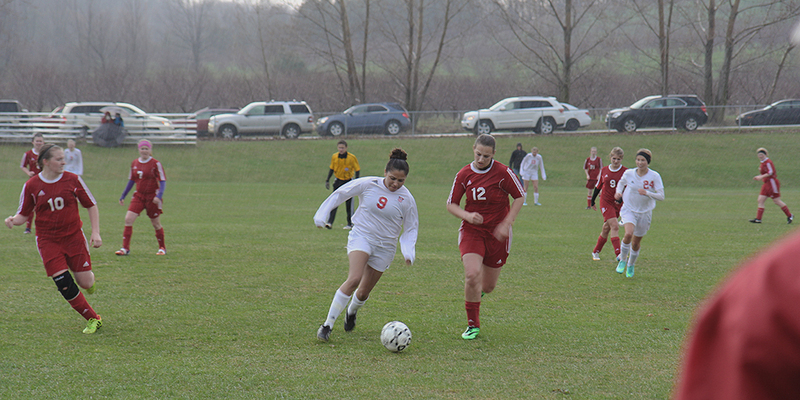 The first goal came just eight minutes into the game and was scored by Suttons Bay’s #22, Sydney Deadman, who had a high ball assist from Suttons Bay’s #6, Samara Slocombe. 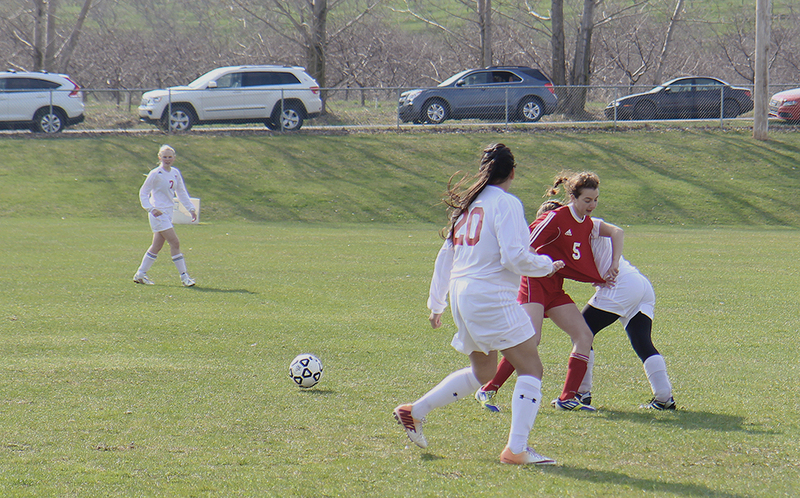 The second goal came at 25 minutes into the game, off of a penalty kick in the box by Suttons Bay’s #2, Danielle Merwin. Maile stopped her twice, but Danielle Merwin still managed to score on her second rebound attempt. 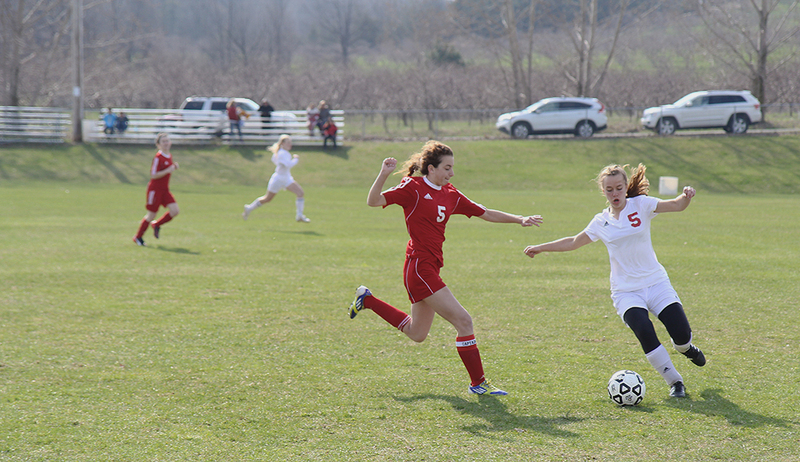 Six minutes later, with only eight minutes remaining in the half, Danielle Merwin centered the ball and our defense was struggling to track girls in, which meant that Sydney Deadman scored her second goal of the game. The Huskies only had one shot in the first half (Megan Cota), but we played better in the second half, which is becoming a trend for us this season. 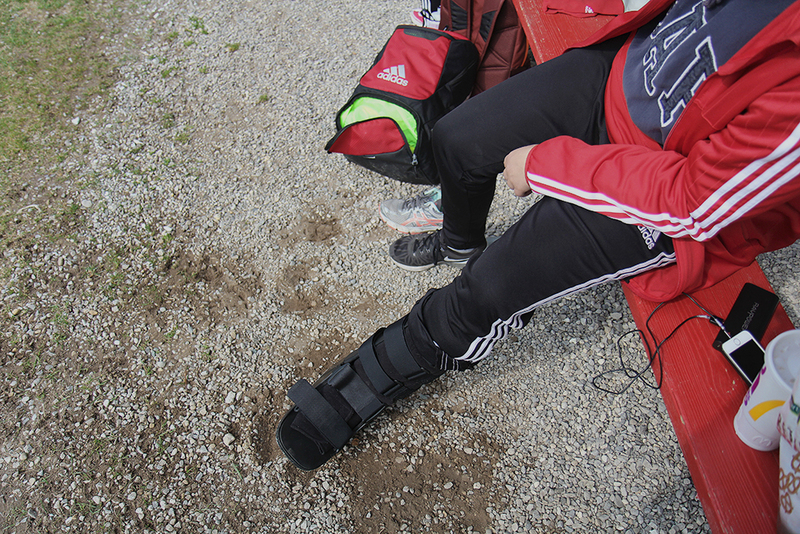 (Also, the Suttons Bay coach also put in more of his second string during the second half, which helped us out.) Still, Sydney Deadman managed to score her third goal of the night (which is called a “hat trick” for those who dont know) at 10 minutes into the second half. Our girls then held the Norsemen off until just 10 minutes left in the half, when Samara Slocombe put one in. 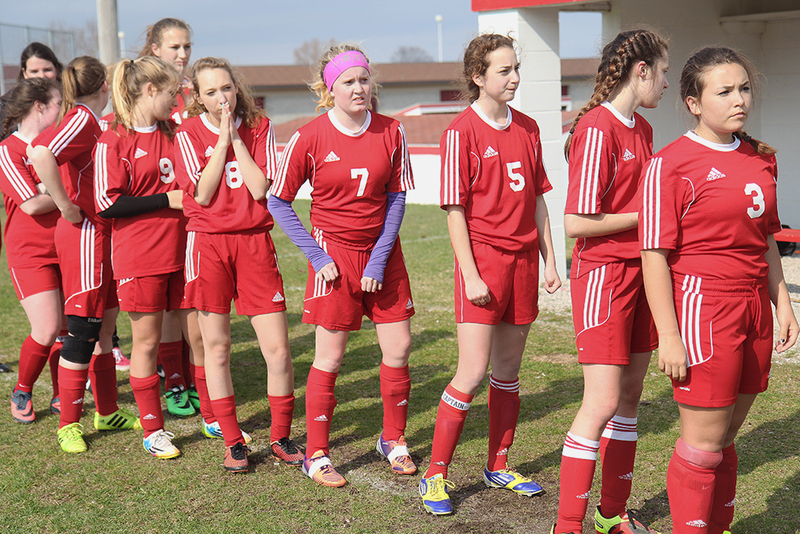 In all, the Suttons Bay Lady Norsemen only had six shots on Maile in the second half, two of which they scored on. Meanwhile, Benzie had a much more offensive second half, with eight shots (four by Haley Papineau, one of which she scored on, plus one shot each by Sarah Middleton, Hanna Burch, and Sydney Ghering). Haley Papineau scored a goal off of a penalty kick in the box with only 1:43 left in the game, which put us a at a final of 1-5 for the night. We were missing: Brenna Harm (suspended for the first five games), Anna Werner (injured), Fenja Firnhaber (injured), Ayla Breuker (sick). 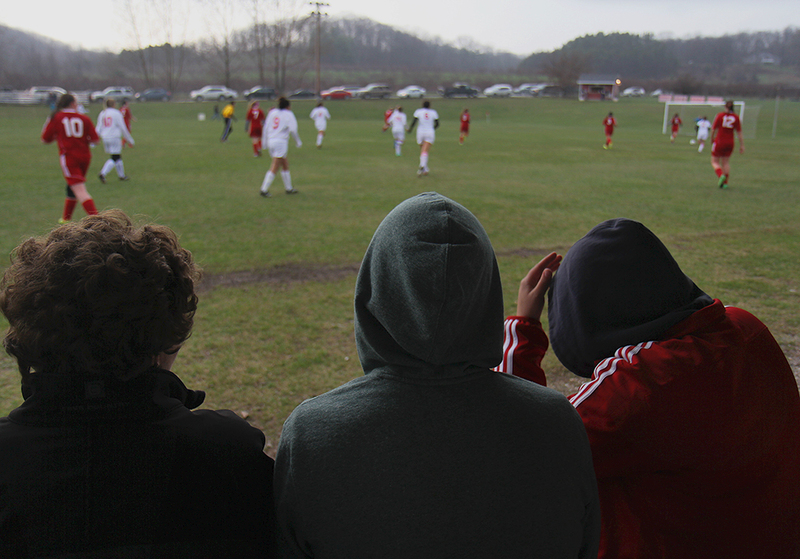 We had a few boys come down on the bus with us to cheer our girls on: we had Nick Baesch and Paul Little. Coach Aubrey Ann Parker brought bananas, apples, oranges, cheese sticks, and granola bars for halftime snack. 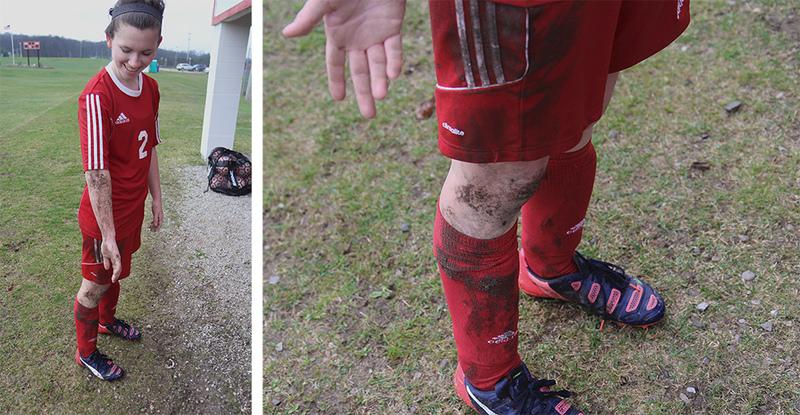 Below you’ll find photos that I took at the game. Also, here is a link to video coverage of the game by 9&10 News and 7&4 Up North Live.